from the nato's: 2 pizzas. tortilla style. yum! 2 pizzas. tortilla style. yum! hey all! remember when i used to post josephine's recipes on the regular? i have slacked...don't judge me. i've been busy and overwhelmed. i'm behind on a lot of stuff, actually. so as penance, here's a recipe 3 for 1! i am in love with these 2 pizzas using her homemade tortilla recipe and that chicken you'll have left over from making your own home made chicken stock! you already know and love these, right? i had to buy tortillas at the store the other day and felt really conflicted. but i was in such a hurry. later that day while i ate them, i vowed to never be too busy again. ha. Josephine says, These pizzas can be a meal or an appetizer. They are packed with flavor! 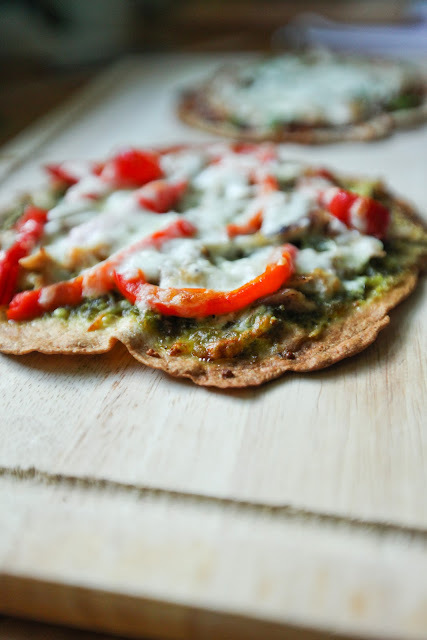 And the crispy crust is made with whole-wheat tortilla, so it is low-carb and very figure-friendly for those that stay away from such things. 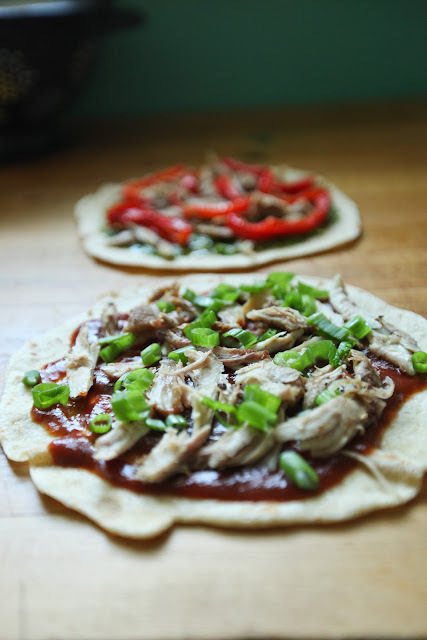 low carb or not, these pizzas are super quick and quite the crowd pleasers with minimal effort. Preheat oven to 450 F degrees. Line baking sheet with parchment paper. 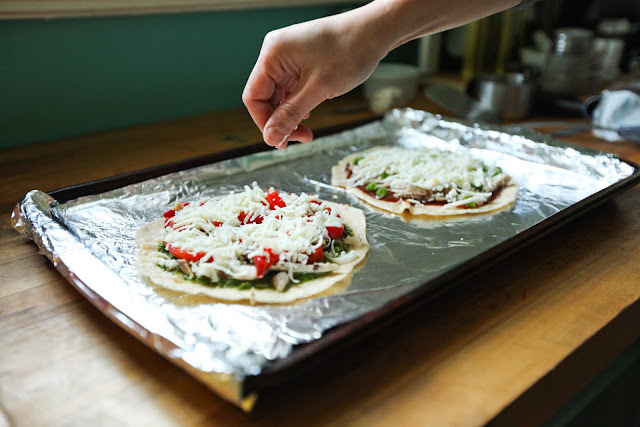 Place the tortilla onto the parchment paper. 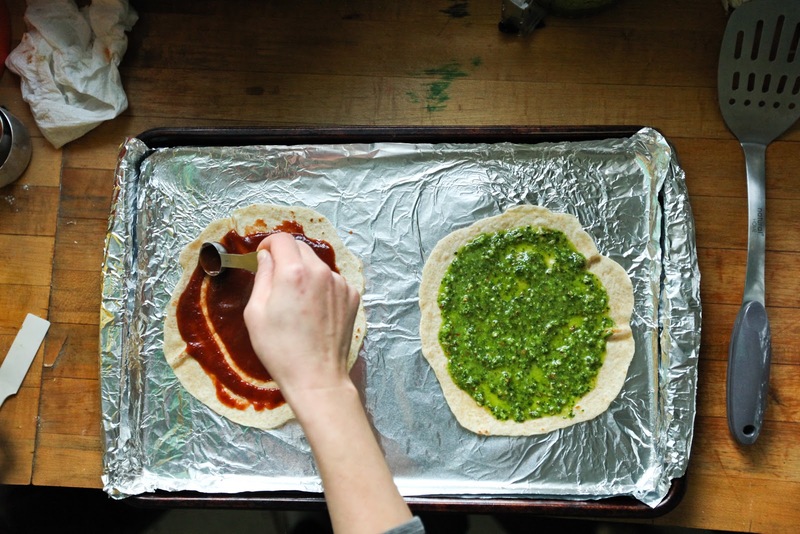 Spread the pesto on the tortilla, leaving a 1/4 -inch on the edge. Top with the roasted chicken, the roasted bell pepper, and the cheese. Bake for 6 minutes, or until the cheese is bubbly and the tortilla is golden brown on the edge. Serve. on to pizza numéro dos! 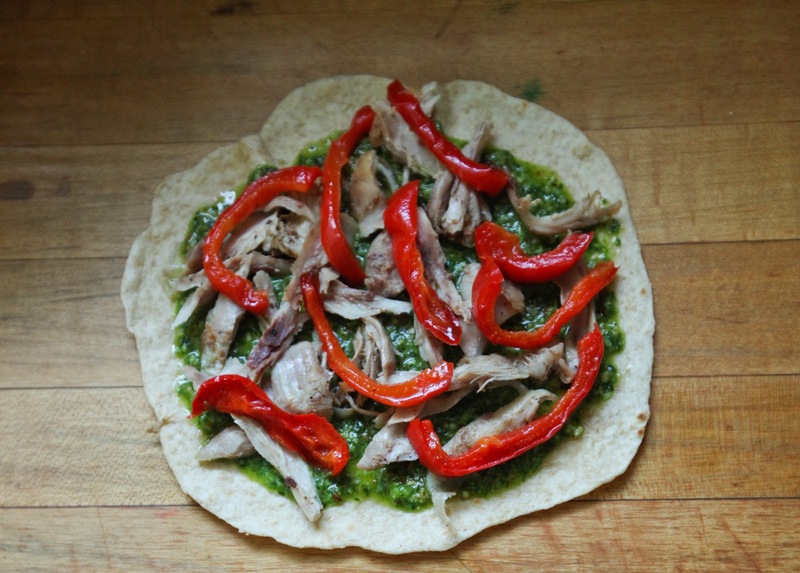 When it comes to pesto, everyone thinks of basil immediately. I’m a huge fan of fresh basil, but it is only seasonal in the summer. if we use spinach, problem solved: it's available and inexpensive through all seasons. And it has a lot of fiber, iron and other nutrients. What is the “weapon” that Pop eye always needs to beat Bluto? spinach! some people say that spinach makes their teeth feel funny but this pesto doesn’t do that to you. I promise. Try it! Place the spinach, garlic, nuts, salt and pepper in a food processor, pulse a few times. Add lemon juice, zest, and the olive oil, process till it is well-incorperated. Scrape the mixture into a bowl. Add the Parmesan cheese and mix well, if using any. Not only does the lemon prevent the greens from oxidation and turning brown, but also brightens up the pesto. 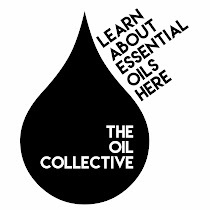 The lemon oil is in the peel, so use it! If you are planning to freeze the pesto for later, then freeze the pesto without the cheese. Add the cheese before using. The cheese would turn out grainy if freezing. Place the tortilla onto the parchment paper. 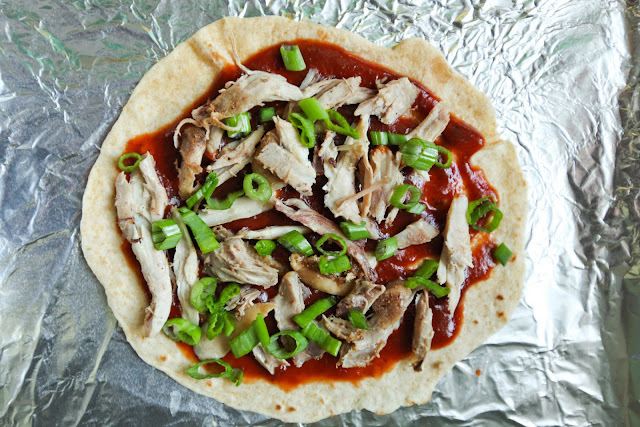 Spread the barbeque sauce on the tortilla, leaving a 1/4 -inch on the edge. Top with the roasted chicken, the chopped green bell pepper, and the cheese. Bake for 6 minutes, or until the cheese is bubbly and the tortilla is golden brown on the edge.